We’ve covered why real-time insurance calls and online insurance leads are important but what about best practices for making the most of those leads and turning them into paying customers? You’ve spent your agency’s marketing dollars to get these great leads, now lets increase your ROI! 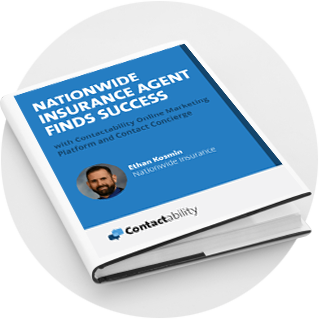 After many years in the insurance space, we’ve learned a thing or two about turning leads into happy customers. Below are 6 ways to increase your chances of closing a sale, as well a few tactics to avoid. Your agency has invested in online leads and it is important to understand what you’re buying. Spend time with your lead supplier’s account management team to know what filters are on the leads and the price you are paying. While you may think it would be best to only buy the ideal “prospect”, sales is a numbers game and the more leads you buy, the higher the chances of closing more deals. More quotes = more policies sold, it’s simple! When you receive a new online lead, what you do next and when you do it are of critical importance. 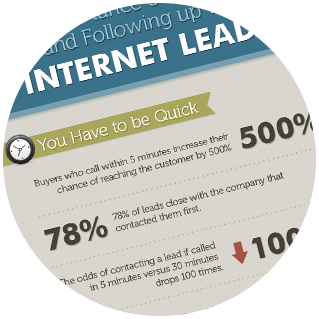 The insurance leads you are buying are sent to you in real-time, which means that lead was just online looking for a quote. This is why it’s important to call the lead as soon as you receive it. Consumers will not be waiting around for someone to call them. The more time you wait, the more time they will spend shopping until they find someone to help them with their insurance needs. To be sure you don’t miss anything, request your lead company send you a notification when you get new leads via text, as well as by email. When you don’t schedule follow-ups it can be easy to forget about a lead. Use your CRM task manager or calendar to set a new follow-up right after you’ve tried to contact your lead. If you’re not able to immediately reach your lead try back at various times, including the weekend. We can all understand that people work during the day, are busy with home life, or are only available on weekends. Just because a lead hasn’t responded doesn’t mean they’re not interested, you could just be calling at a time that is inconvenient for them. When scheduling your next follow-up, set your reminder for various times so you can be sure you’re spicing it up! Whether you write a policy or not with a lead, always ask for referrals! These referrals will allow you to quote more and book more business. As we’ve discussed before (see Why Word of Mouth Referrals are So Important), referrals provide a never ending reach and can make the most loyal customers. By not using referral marketing your agency could be losing out on a great resource that can bring in more long-term customers. One of the best ways to keep up with leads is to track every activity, conversation, and the result. This data can help you to continuously improve your performance as well as never forget where you left off with a client. Sharing this information with your lead provider will allow them to potentially modify the leads they are sending to help you achieve more optimal results. The first few hours you get a new insurance lead are critical. The last thing you want is a lead to go stale. It can be harder to re-engage a lead after they were previously interested in a quote. The longer you wait, the higher the potential they find another agent to help them. It’s also better to be late than never respond! If you get an introduction while on vacation, reply when you get back even if it was a time sensitive thing and the opportunity seems as if it has past. There’s nothing worse than hearing the vague sentence: “I’m available anytime”. When you say this it shows a few things: your time isn’t valuable, you’re too lazy to take the time to check your schedule, or you’re leaving it up to chance. When you say you’re available anytime it means you expect the other person to look into their schedule and pick out slots of availability for you. Giving direct time frames can create urgency, show organization, and help to book a time faster. At the very least, using a calendar scheduler for specific days can make it easy for people to find a time that works for everyone. The Takeaway: These are just a few key ideas to making sure you hit the mark on bridging connections. It’s not all about the next big opportunity, it’s about cultivating long term relationships with potential customers!